In 2000 Microsoft launched the first handheld device operating system “Pocket PC” later renamed it “Windows Mobile” in 2003. Microsoft developed “Windows Phone” in 2010 as the mobile device operating system, successor to “Windows Mobile” and in competition to the better performing Android and iOS in the market. With Windows Phone Microsoft created a new Graphic User Interface design language- “Modern” to create UI. Like Android and iOS the Windows phone supports multi tasking and high resolution screens. The developer should have the knowledge of the hardware and windows phone specifications and architecture. Windows phone Application development uses XAML to develop the UI and C# or Visual basic for code. The developer should have good programming skills to develop the Application. 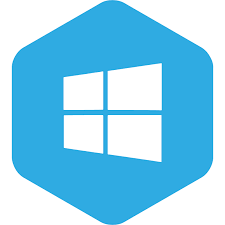 To develop an application for Windows Phone use the Windows Phone Software Development Kit by Microsoft for developing the application for Windows Phone. Microsoft visual studio express- it is the environment for creating the windows phone application and consist of the project templates, code editor, visual designer for UI, and a Toolbox of controls. It also has the tools for simulation testing and debugging. Project templates- it consists of the libraries, protocols, routines and developer’s assistance for developing the windows phone application. Windows phone emulator- this is the simulation and testing tool for the application developer to test how the application would actually work in the device. It is not necessary that the developer should have the windows phone. He can use the emulator to test the application in the phone environment.